USS Vincennes (CL-64) is shown at Boston on February 25, 1944 wearing camouflage 33/3D. The colors should be pale gray, haze gray and navy blue. Photo source: NARA BS 61125. 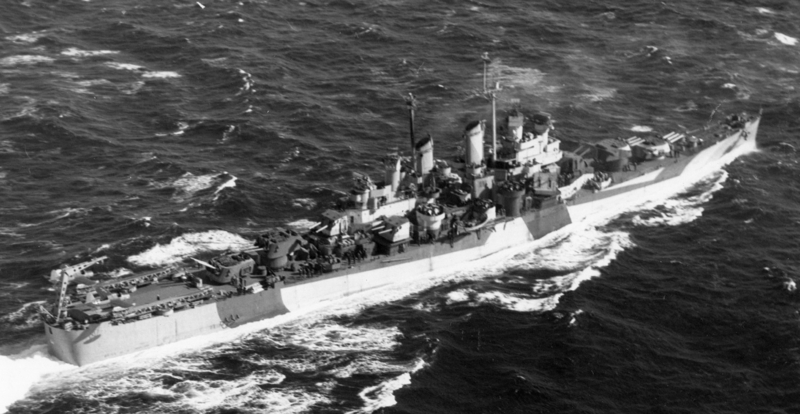 USS Vincennes (CL-64) is seen outside of Boston in an aerial view again on February 25, 1944 wearing camouflage 33/3D. Photo taken from a blimp from squadron ZP-11. USS Vincennes (CL-64) in another aerial view outside Boston on February 25, 1944, also from ZP-11 wearing camouflage 33/3D. USS Vincennes (CL-64) is shown off the east coast in camouflage 33/3D on March 31, 1944, taken by an aircraft from squadron ZP-11. Vincennes has had a rough trip or a bad paint job. 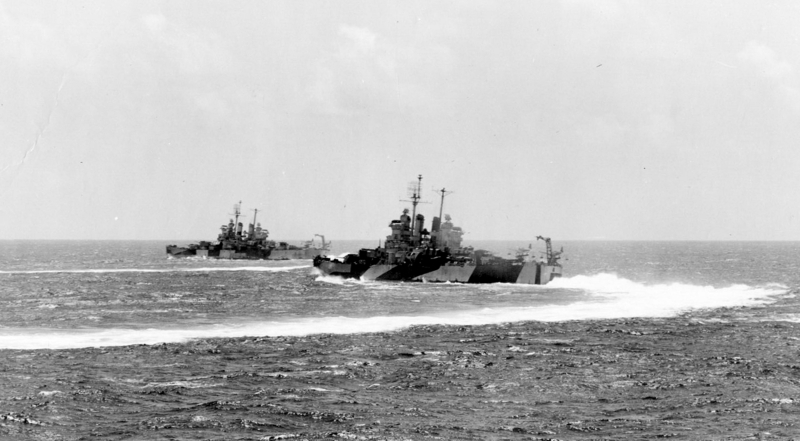 The two light cruisers USS Houston (CL-81) in front and USS Vincennes (CL-64) behind maneuvering on August 10, 1944. Houston is in camouflage 32/1D and Vincennes is in 33/3D. Photo taken by USS Miami (CL-89). Photo source: NARA 80-G-358653.